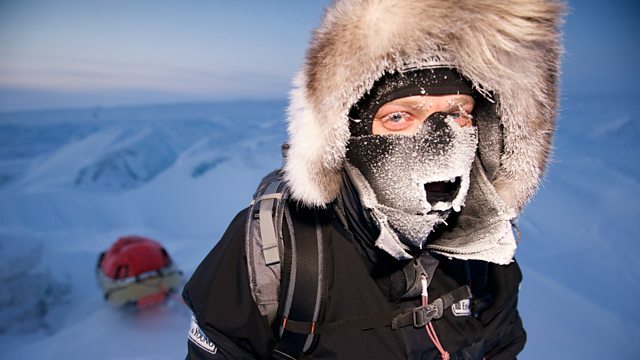 Kirsty Young talks to polar explorer Ben Saunders. Kirsty Young's castaway is the polar adventurer Ben Saunders. In his own words he "specialises in dragging heavy things around cold places". He's one of only three people to have skied solo to The North Pole and he holds the record for the longest solo Arctic journey ever on foot. After traversing Russia and the frozen crust of the Arctic Ocean, his most recent adventure was to triumph where, a century before, Captain Scott and his men failed. Ben successfully retraced that ill-fated Terra Nova route by making the eighteen hundred mile journey through Antarctica-and-back, entirely on foot. When he's not wrapped up somewhere cold, he is a motivational speaker. The Edwin Hawkins Singers Greatest Hits. Mecca and the Soul Brother. The Very Best of MTV Unplugged 2.